Hey guys I thought to make a Pictorial Tutorial for the beginners who have no idea how to use and build EMS Pages. 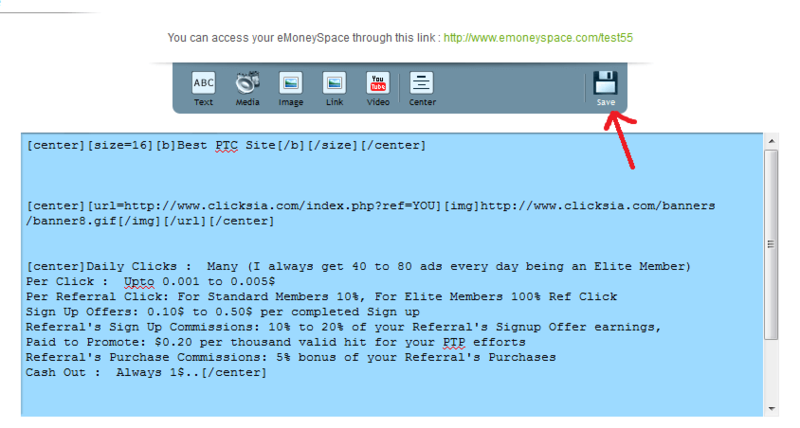 First Let me tell those people that EMS Pages are like Blogs where you may put up your reflinks all together at one place and then advertise them to get some referrals. 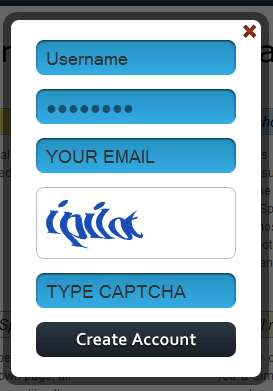 First You need to create an account, Click on "Create Account"
The Username you want, Password, your email, and fill the Captcha and then hit "Create Account"
Then you will see something like this, so click on "Settings"
Select the template you wanna see at your Page, and save changes. 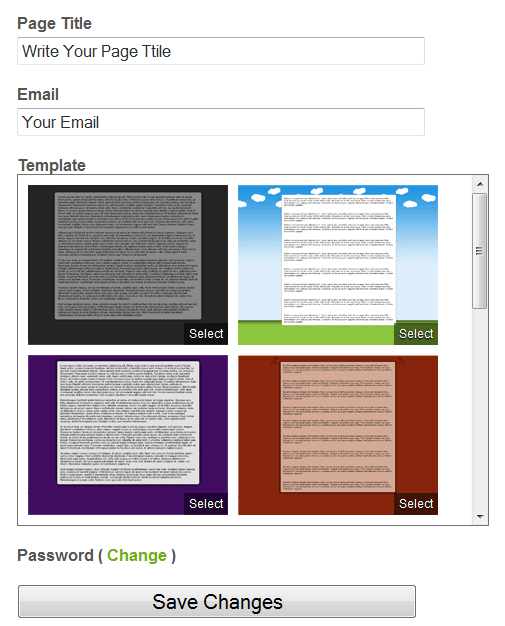 You can add your desired Text and Banners thr. 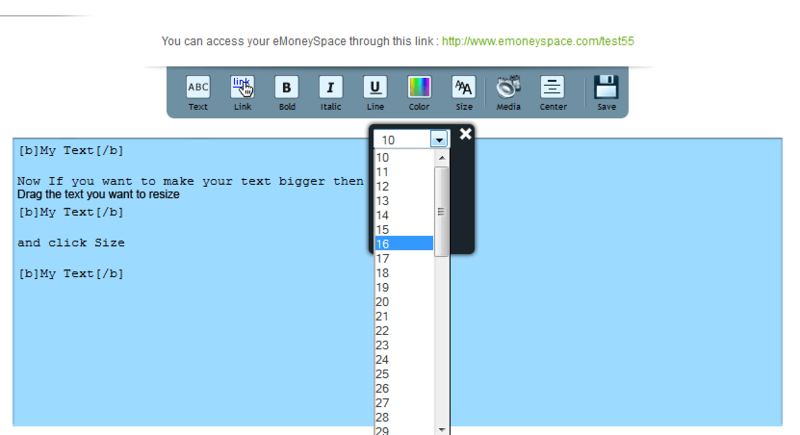 Bold: You can Bold your text. Size: to adjust the sizes of the text. 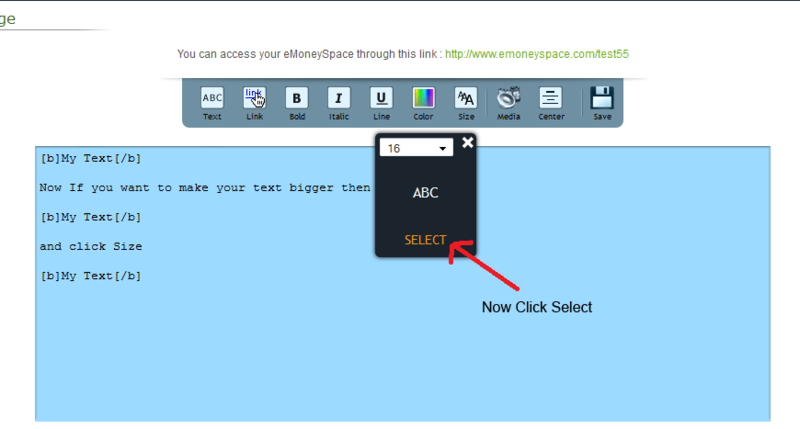 Now we will make your text bold, drag the text you wana bold, then click on Bold. Same way you can utilize your other available options thr. 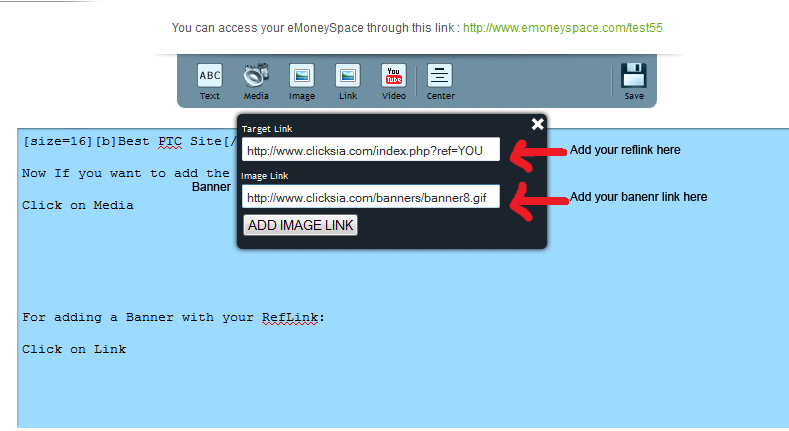 Add your banner image link and your reflink. 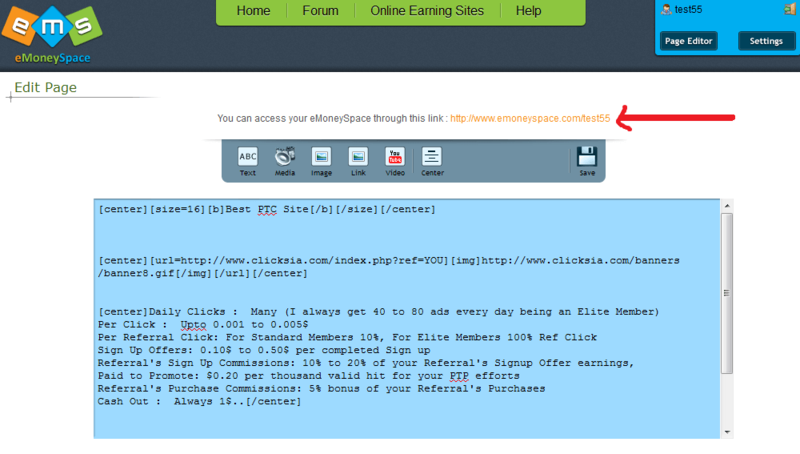 and then "Add image Link"
Now add some desctiption about the site, it will just attract the people to join a site. To check how it looks, Click on the link which is your EMS Page Link. 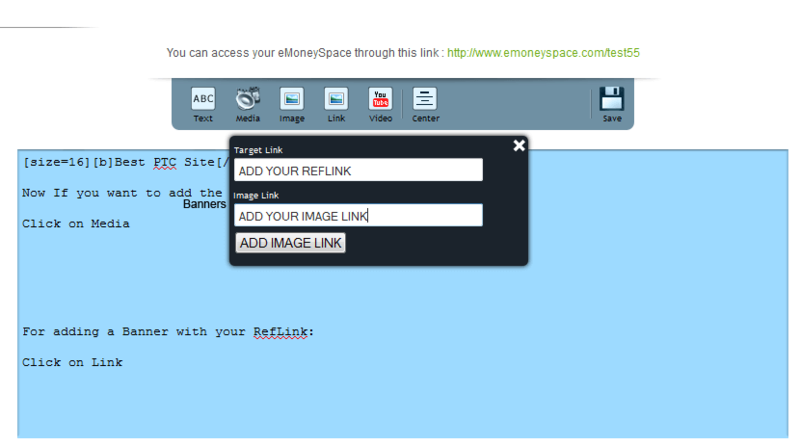 for example if you have a Banner image with your reflink for a BB Code you can directly add it in your page and it will work too. It'll be very useful for the beginners !! It's really helpful for all. Can I make another account there? "If you want crumbs , click without investment .. but if you want serious profits ... you have to invest money... "
Yes, you can make as many EMS Pages as you want. Its entirely different than a forum account. PTC = Better investment than a university degree! 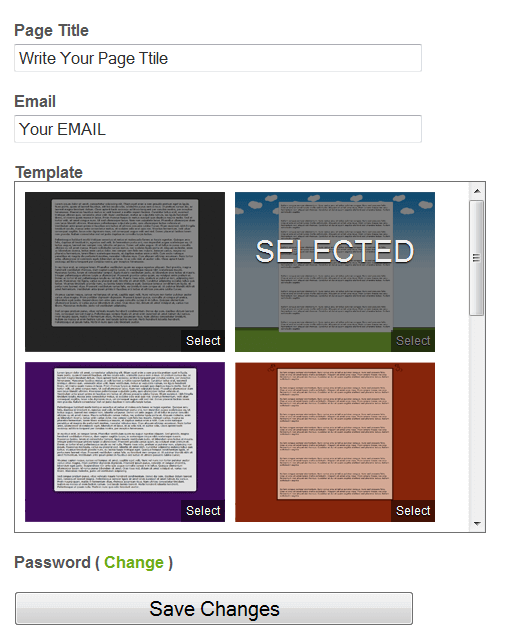 When I enter a title, select a theme, and then click the "save changes" button, nothing happens -- except the message, "Please fill out the form," appears at the top! Follow me to MouseBux! Earn like Chuck E. Cheese! Can you put script on website? Please use another browser and let me know. 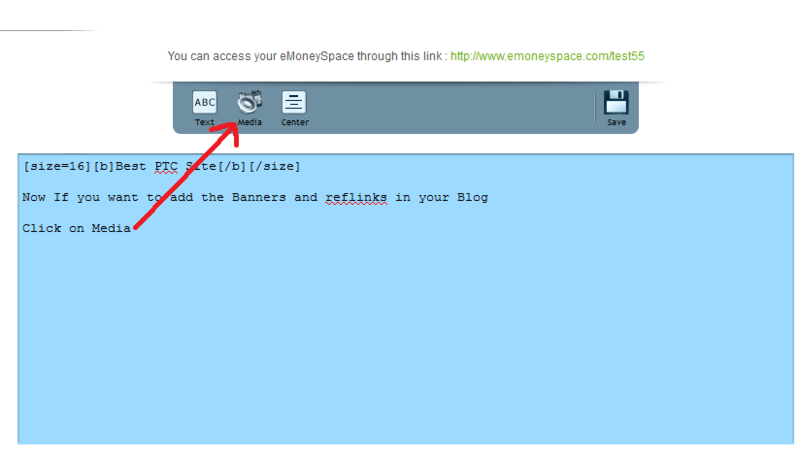 how to upload a photo from the PC to the ems page? Do I need a image sharing host? What is the easiest way to do it?